Amma and Puratchi Thalaivi by members in her party; also called as Selvi J.Jayalalitha, or Kumari Jayalalitha or Jaya or Jayalalitha Jayaram, is an Indian politician and the Chief Minister of Tamil Nadu, in office since 2015. Previously she served as Chief Minister from 1991 to 1996, in 2001, from 2002 to 2006 and from 2011 to 2014. She was an actress before her entry into politics and appeared in 140 films which includes Tamil, Telugu, and Kannada films. As a leading actress in films from 1961 to 1980, she was considered as one of the most prolific and most versatile actress having appeared in films of different genres and for performing wide variety of characters. She was also known for her dancing skills.She is referred to as the queen of Tamil cinema. She is the general secretary of All India Anna Dravida Munnetra Kazhagam (AIADMK). She is popularly referred to as Puratchi Thalaivi, Thanga Gopuram, Thanga Chillai and Thanga Tharagai (Golden Maiden) by her followers. In 2001, an additional letter "a" was appended to the spelling of her name for reasons related to numerology. J Jayalalithaa, who suffered a cardiac arrest on Sunday evening, continues to be very critical and is on extracorporeal membrane oxygenation (ECMO) and life support systems, said Apollo Hospitals in a statement on Monday. "The chief minister is being treated and closely monitored by a team of experts," said the statement issued by Apollo Hospitals chief operating officer Subbiah Viswanathan. A team of doctors from the All India Institute of Medical Sciences would land in Chennai later this afternoon, doctors said. There was short panic after some Tamil channels and websites published reports of Jayalalithaa's death, which was rubbished by Apollo Hospitals. 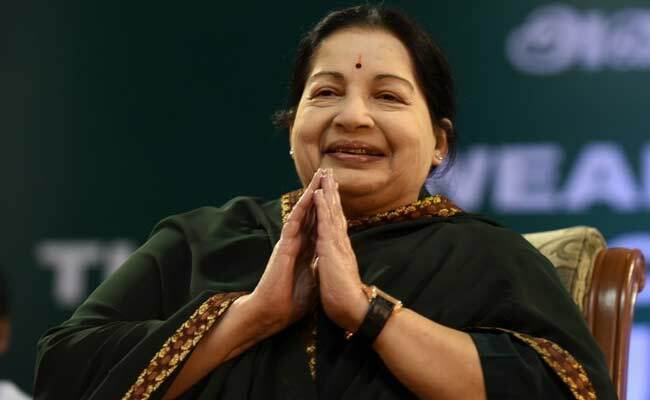 According to the hospital, the TN chief minister was still under life support though her condition was critical. An emergency meeting of AIADMK party members was also on to discuss a possible successor. The party, according to reports, may back O Panneerselvam, who has been Jayalalithaa's trusted lieutenant. Jayalalithaa is on ECMO or Extra-Corporeal Membrane Oxygenation device. This is a life support system that helps provide oxygen to the body when the patient's lungs or heart are unable to do so. ECMO is put in place when the patient becomes unresponsive to conventional CPR or Cardiopulmonary resuscitation. It works by draining blood from a vein and connecting it to an oxygenator machine. According to doctors, the patient can be on the device for several days or even weeks. The state, however, has been put on high alert. Tamil Nadu DGP has ordered all police officers and personnel to be on duty. In a communication to ADGPs of Enforcement, CB-CID, Economic Offences Wing and Crime wings, the DGP's office today asked them to "mobilise all the officers in the rank of SPs and police personnel of other ranks of Enforcement, CBCID, EOW and Crime completely and they should report" to SPs and Commissioners of Police on Monday.